It is about time. The Grand Prix winner of the Angoulême festival is the Argentine master José Muñoz (born 1942 in Buenos Aires). 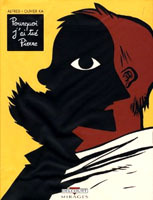 As the artist of a series of classic books written by his compatriot Carlos Sampayo – notably the noir character-driven series Alack Sinner, the masterful short story cycle set around “Joe’s Bar”, and the touching memoir Sudor Sudaca – Muñoz was one of the most important innovators of European comics in the 80s. He has been rumoured as a prospect for the Grand Prix for years, but the Academy (consisting of former winners, at this stage mostly 70s veterans), have been too busy covering the margins of the 70s roster. 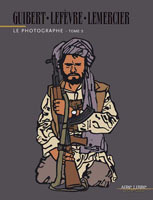 Muñoz is only the fourth non-French language author to be awarded the Grand Prix (the others are Will Eisner in 1975 and R. Crumb in 1999, with Hugo Pratt having been given a special anniversay prize in 1978), in itself a remarkable testament to the insularity of the awards at a festival which has otherwise developed a significant international profile. As I wrote, about time. Concerning the prize winners, the overhaul given the awards by Lewis Trondheim this year – doing away with the anachronistic categories so common to this kind of awards system – resulted in a much more timely selection of books, with focus on work outside the established genres and forms, much of it published by the small press. All in all, the awards this year reflect the state of comics as an international art form much better than previously. This is the first year a manga has been honoured with the prize for best comic of the year. The award was given to NonNonBâ by Shigeru Mizuki. The other works singled out as “essentials” (ie. prize winners) were also mostly of high quality, with Charles Burns’ Black Hole and Didier Lefêvre and Emmanuel Guibert’s Le Photographe vol. 3 leading the pack. The other winners were the latest Lupus by Frederick Peeters, Lucille by Ludovic Debeurme, Pourquoi j’ai tué Pierre by Olivier Ka and Alfred (also awarded the prize of the Association of French Comics Critics), as well as Panier de singe by Jérôme Mulot and Florent Ruppert which was tagged with the special “new discovery” distinction. 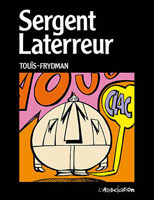 For the “heritage-prize” the jury surprisingly bypassed the French edition of Peter Maresca’s big Little Nemo book and gave it to L’Association’s resurrection of a largely forgotten classic, the delightful and stylish Sergent Laterreur by Touïs and Frydman, originally published in the seminal comics magazine Pilote at the beginning of the 70s. 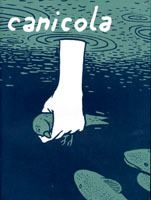 Also, the great people at Canicola won the fanzine award for their anthology, which is quickly becoming one of the most interesting showcases of young cartoonists. Read the festival’s press release on Muñoz here, and see the entire list of prize winners here.